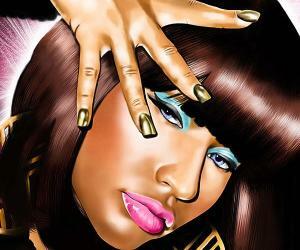 Rapper Nicki Minaj can be heard on record, seen on video and now in comics. The colorful artist has joined forces with Bluewater Comics to create a comic book that immortalizes her. Fame: Nicki Minaj is available now in Standard and Superhero Covers at Comic Flea Market for $3.99. The comic can also be purchased as digital copies for $1.99 on iTunes, Amazon, Barnes & Noble, Kobo, ComiXology, Google Books and more.